It's amazing what a little change of perspective can do. Step outside and discover nature's treasures up close: the clear blue sea, sweet island breeze, tropical fish, sea stars, and even more. At The Perry Hotel, we've got so much to do and so much to see. Our onsite concierge is happy to help you plan any of the exciting activities below. Send us an email or give us a call to craft your perfect stay. Your stay at the Perry is anything but ordinary, so why should your vacation activities be any different? Our experience partners at the Stock Island Marina are the perfect choice for private charters or group fishing adventures. You don't have to go too far to find a great catch. Our calm, clear, shallow waters are perfect for fishing the backcountry, inshore flats, sandbars, reefs, and mangrove islands. Captain Kyle is here to take you and your crew to either fishing destination—you just have to supply the angler's luck. For avid anglers or folks looking for a unique Key West vacation experience, Eddie Griffith's Charters offer 2–3 day excursions to Dry Tortugas National Park. You'll fish on patch coral reefs and shipwrecks, catching a wide variety of fish including several types of snapper, grouper, cobia, amberjack, and kingfish. Located at the docks at Stock Island Marina, Two Fish Charters is one of the busiest charter fishing operations in the Dry Tortugas for a good reason. The highly experienced captain Yuri Vakselis knows the area and where to find the trophy fish. Typical catches include dolphin, tuna, wahoo, king mackerel, sailfish, and more. The ocean provides the world with many sources of entertainment, wonder, and nourishment. From fishing to diving to cruising, What’s Kraken? 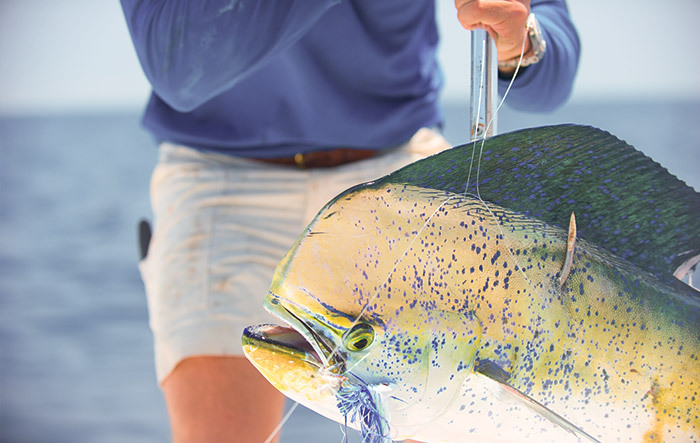 Keys Fishing Adventures strives to ensure that each client experiences a marine adventure that exceeds his or her expectations and creates memories that will last a lifetime. You've always wanted to try your hand at fishing—Y Knot now? Our experienced partners at Y Knot Key West Charters are a perfect match for novice and experienced anglers alike. Catch mackerel, tuna, kingfish or even Mahi Mahi on a day trip to the “blue water,” or head west and drop anchor for yellowtail snapper, grouper, and bluefish. The Perry Hotel offers direct ocean access, opening the door to plenty of fun and adventure on the water by kayak or paddleboard. Explore living coral reefs, meander through mazes of mangroves, or enjoy a light breeze on the calm sea. Only steps from the hotel, Namaste Eco offers one-of-a-kind Citizen Science Excursions. Ideal for eco-enthusiasts looking for something more than the average charter, these excursions include 30 minutes of hands-on education, followed by a full hour of exploring coral reefs or mangrove forests with our passionate guides. Embrace the tranquility of the water and the dawn of a new day with a sunrise sail, or close the night on a romantic sunset voyage. With our dockside location at the Stock Island Marina, you'll head out to sea alongside local fishermen and shrimp boats. Enjoy a fully customizable private yacht cruising experience with destinations to the Keys, Dry Tortugas, and even Cuba. On board, you will receive all-inclusive chef prepared meals and a private stateroom. This will be an experience you will never forget. A little ship that's as whimsical as her name is, Sunset Sail Key West’s Free Spirit is Key West's smallest schooner and offers an intimate experience for day or sunset sails. Passengers will choose their own activity, from snorkeling to reef trips to dolphin watching or just lounging under the sun. 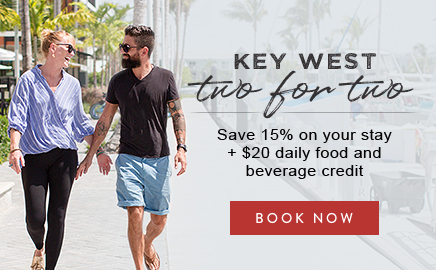 Enjoy a private luxury yacht experience, and roam the aqua-colored waters of the lower Florida Keys archipelago as far out to the Dry Tortugas National Park. Guests can indulge in a variety of water sports activities, interact with an array of marine life, or just bask in the glow of a sunset with Tortuga Sailing Adventures. 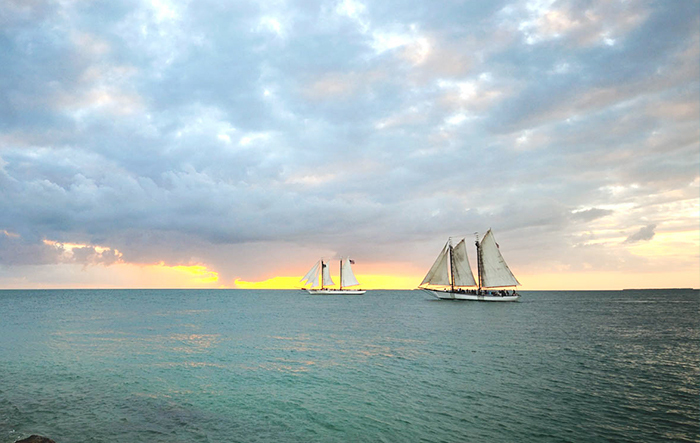 Enjoy a day sail or Key West's most elegant and exclusive sunset sail on this historic classic yacht. Built for General George Patton in 1939, When & If is open to the public for the first time in her history. Help raise sail, take the wheel, or sit back and relax with any adult beverages that you care to bring. Dive into beautiful aquamarine waters. Explore the third largest coral reef in the world. Experience fascinating deep-water wrecks, including the U.S.S. Vandenberg, only six miles from Stock Island Marina. An incredible underwater world is waiting, so dive in. 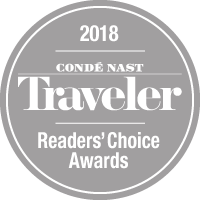 Whether you’re interested in exploring deep wrecks on a scuba trip, snorkeling the third largest barrier reef on Earth, cruising through the Historic Key West Harbor at sunset, or relaxing in the shade on a beautiful, secluded island, Deep DevOcean Charters offers a variety of charter adventures that you won’t soon forget. Key West's #1 dolphin watching tour is right in our backyard. Join Captain Gary and his crew as you pass over natural sands through the blue waters of Key West into the playgrounds of wild dolphins. Trips depart from the Stock Island Marina, and snorkel equipment, soft drinks and fresh pineapple are provided. Servicing the Florida Keys for over 30 years, Lost Reef Adventures’ dive boat can be found at our marina just steps from your room. They offer twice daily diving and snorkeling excursions, as well as scuba instruction for PADI certifications. Choose from reef dives, wreck dives, or double Vandenberg dives. For an intimate dive experience, step aboard Y-Knot charters, located right here at our marina. With over 25 years experience, the Y-Knot crew specializes in ecology trips to the Dry Tortugas National Park or spearfishing trips to Marquesas. Hunt for lobsters (during lobster season), spearfish, or get lucky and come across a whale shark. What better way to feel the wind in your hair and the ocean spray on your skin than on a jet ski? This exhilarating mode of transportation allows you to race through the water in style while getting a close-up view of Florida wildlife. 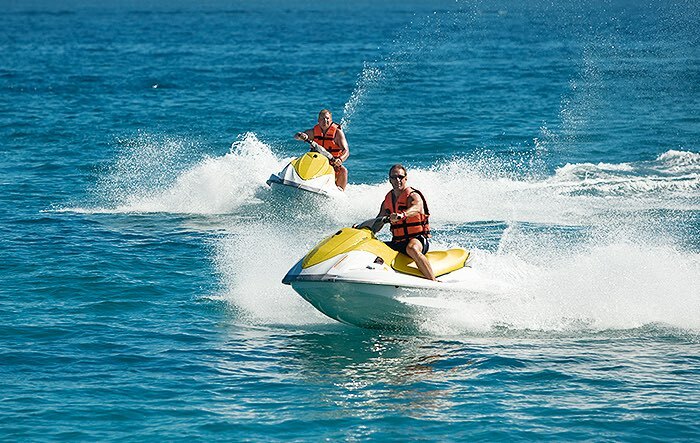 Key West Water Tours is the only vendor around that offers one-of-a-kind guided jet ski tours. Experience the island from a unique and exciting perspective with plenty of interesting stories and sandbar stops along the way. There’s no excuse not to try something new—tours depart right from our marina! This Stock Island vendor also provides jet ski rentals.